Are you about to manage and plan your company’s stand presence at an exhibition or conference? 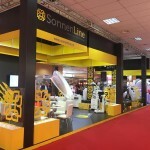 Maybe you already have a great exhibition stand that you can use from show-to-show. However, if you don’t have one on sand-by, you might need to be thinking about the starting point of the creative process: “exhibition stand design brief”. This document will help the exhibition stand designer give you the right solution for your brand’s exhibition needs. Not investing in the exhibition stand design brief you might receive proposals that miss your requirements and you’ll have to invest much more time working on this project than you initially estimated. In this part of the brief, you should explain why you are sending this exhibition stand design brief. You don’t really need to make this part too long but you should try to be as accurate as you can. Most of the time, a good brief starts off with information about the name of the event you’re about to participate in, the date and location. This is a crucial information because depending on these important details, the exhibition stand constructor can participate with a proposal or not. The exhibition stand constructor might not be present at that particular exhibition or might not have a production area near the event’s location in which case it would not be wise to sent a proposal. Also, it is also good to know if you only need a design for a single event or if your company plans on using that design in multiple events or trade shows. Key dates are usually the dates you want the proposal returned and also a specific date when you want to see a proposal for the exhibition stand design. Make sure a have some realistic dates set up. Keep in mind that a good deadline for a proposal is at least one week. This part of the brief is extremely important because in this section you need to describe your business: what it does, which division is exhibiting, branding and communicating. There is no actual need to go into great detail in this section but it is important to mention details such as technology areas where your business excels or key geographic areas of operation. What is the purpose of participating in this edition of the fair? An important information for your exhibition stand construction team is why you decided to participate in a particular exhibition fair and what are the types of people you are looking to attract to your stand. This information will give the team an idea about the purpose of the exhibition stand and about the creative direction for the stand’s design. However, if you have more than one objective for this participation or more than one audience segment that you wish to target, list them in this section. Try to give the correct and entire context without going into details. What is the target audience at this fair? 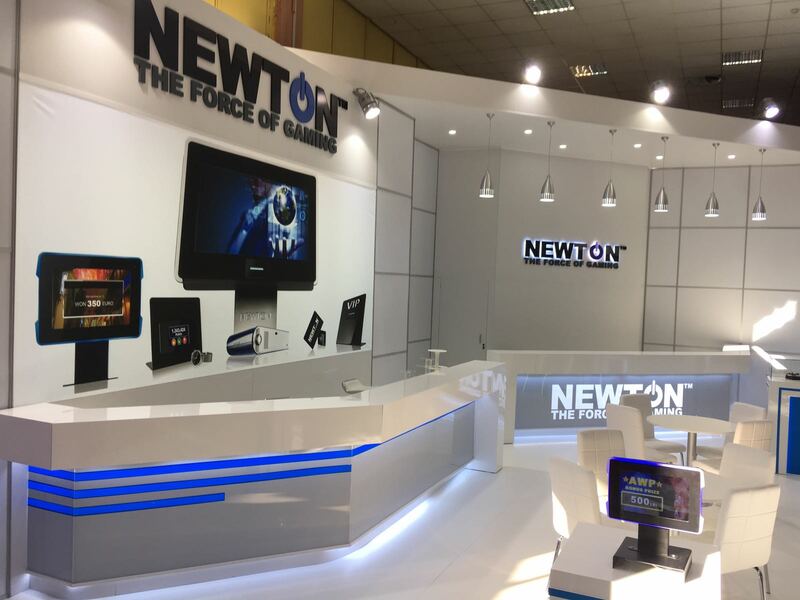 As we mentioned before, it is important for your exhibition stand design team to understand the purpose of the stand and who it will need to attract. Therefore, it is important to know what your targeted audience will be. This is actually the most important part of the brief and it should start with the exhibition stand’s position at the event’s location. 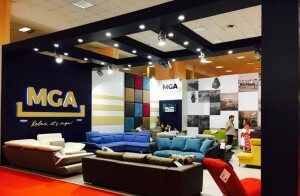 This key information will directly influence the stand’s design and equipment, the height of the stand’s walls and the design of the hanging signs. Some information about the stand’s equipment and some relevant images of your company’s visual identity will help the exhibition stand constructor to find a good visual direction for the overall design. 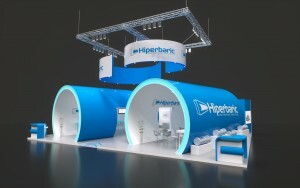 What configuration have you booked for your exhibition stand? Standard booth/ linear booth; perimeter wall booth/peninsula booth / Island Booth – floor plan received from show management. The stand contractor must check the best orientation of the stand. Sometimes is better to be facing a large visitor attraction rather than the entrance. Do your products require specialist lifting or handling? Demo area? You can use the opportunity to present the advantages of your products through a live demonstration. Do you require audio-video equipment, multimedia presentations such as plasmas, video-wall etc? 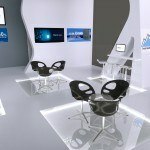 Do you require a reception desk? Colors and the proportion in which they will be used, logos or images that you want to appear in the stand. The company identity, logo or representative pictures and all the information which you consider relevant and important! What would you like to have in this booth at this show compared with the one from the previous tradeshow? Do you intend to reuse the exhibition stand or elements of it? This information should always be communicated as accurately as possible to your exhibition stand design team. You might be tempted to not communicate your budget right from the start just to see what they have to offer in terms of concept and design. However, this is not always such a good idea. Why? It usually wastes a lot of time. Your supplier might present a great proposal in terms of design and creative concept but you might discover that you budget pays only for a quarter of that exhibition stand. In other cases, you might receive a proposal that is way under your budget and not all wall what you hoped for. That means redesigning the entire exhibition stand which takes time and effort. Why go through all that when you can just simply communicate your budget upfront? Another aspect to consider is the fact that you must state what your dedicated budget should include: exhibition stand design, exhibition stand construction, dismantling and transportation. At the end of the exhibition stand brief, make sure you add the contact information for the person managing the supplier (usually that is the event manager). You will need to include: name, address, email, telephone number. Adding your company’s logo, a title to the document and any confidentiality disclaimers will make your exhibition stand brief look more professional. 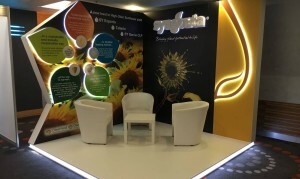 Sending a professional exhibition stand brief will surely increase your chances of obtaining a good proposal for you company’s exhibition stand design. Also, by having all the necessary information upfront, your exhibition stand contractor will be able to spend more time on the actual designing process and less on the research process. Good luck!